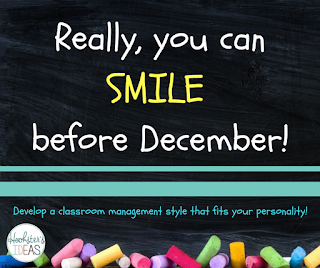 Really, you can smile before December! 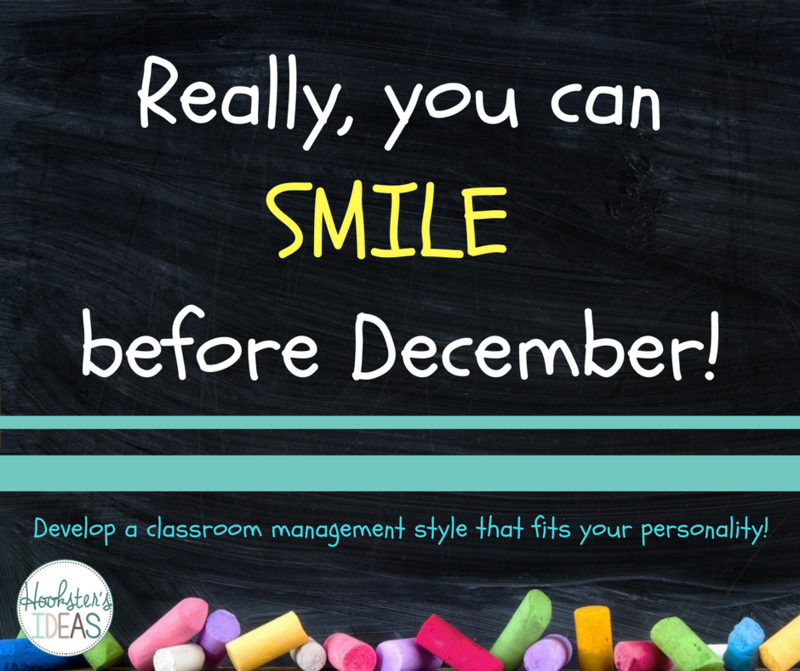 I don't know how many times I was told to not smile before December during student teaching and even my first few years teaching, but believe me, it is ok to smile, and in fact I challenge you to SMILE and smile often this year! I am a very happy-go-lucky type of person and to be told that I couldn't smile because it would show weakness or softness that would allow students to walk all over me, was just absurd. So if you are like me and it is just not in you to wear the stern look 100% of the time, then this is the post for you. 1. You MUST be consistent. Consistency is what will help your students thrive and also respect you. Don't offer empty threats that you know you can't follow through on. 2. Allow your students to see the human side of you. You, despite what you may think, don't know it all and admitting when you are wrong or that you don't know helps your students understand that you are a real person. This will in turn allow them to trust you and will more likely be more compliant with your demands. I have laughed, cried, and fallen in front of my students on multiple occasions. I have admitted that I don't know what to do in a given situation, but that I was going to do some research to figure out the best solution to the problem. 3. Be a "warm demander." Be polite and respectful. Expect your students to work harder than they ever have worked. Demand that your students reach levels that they don't think are possible, but you know they can! Read more about this here. 5. Develop a system that works for you to manage, track, and reward students for their behavior. Some things that I have used in the past that worked wonders in my fifth and sixth grade classes are Class Dojo, my Funny Money Token Economy, and for Intervention with really challenging students, I created an Editable Daily and Monthly Behavior tracker that worked wonders. You can read all about it here. So, go ahead and smile. I give you full permission. When things get tough, and they will, just remember that it WILL be ok and this too shall pass. Being a positive role model in your students' lives is worth smiling about. You have hands down the best job in the world and so with that make this the best year yet!